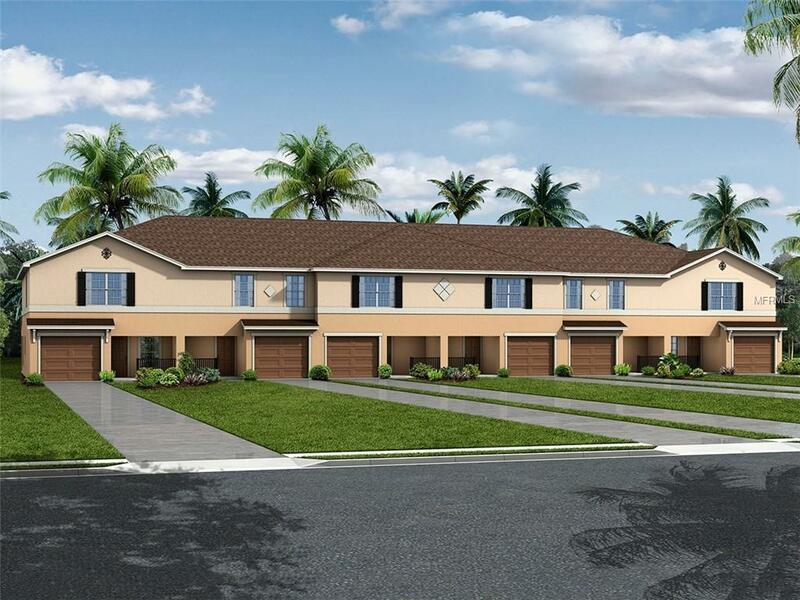 Brand-new, move-in ready 3-bedroom townhome for sale in Gibsonton, Florida! Be one of the lucky few to be able to take advantage of this limited opportunity to own a home in one of Gibsonton's most sought after gated townhome communities! This spacious townhome feels more like a single-family home from the moment you enter in the front door. You'll be pleasantly surprised with its wide, inviting foyer leading to its open concept kitchen, and large family room that overlooks a covered lanai perfect for relaxing or dining al fresco all while viewing your beautifully landscaped backyard. The kitchen features a breakfast bar perfect for bar-style eating or entertaining, granite countertops, soft close white cabinets with decorative knobs/pulls, a pantry and more. This home comes fully adorned with stainless steel kitchen appliances, Washer/Dryer, 2 faux wood blinds throughout, upgraded wall tile in both bathrooms, and 18"x18" ceramic tile in wet areas, just to name a few. There's also a 1-car garage and driveway to allow for plenty of parking space, as well as an outdoor attached storage room for all of your storage needs! This is a rare find in most Florida townhome communities. If all of that wasnt already more than enough, this home is only a 20-minute drive to the Brandon Town Center Mall and all of the surrounding Brandon area with tons of things to see and do! Call today to come out and see this gorgeous enclave that could be your next place to call home.